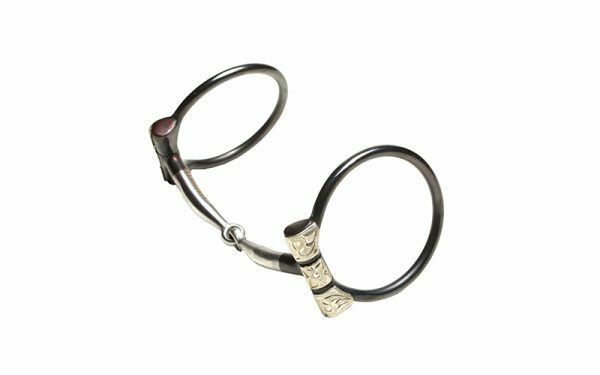 Clinton uses a snaffle bit on all his horses, and recommends riding in a snaffle bit when performing the exercises from the Method. Snaffle bits encourage lateral flexion, and lateral flexion is the key to vertical flexion. In other words, the softer you can get your horse from side to side, the softer he’ll be when you pick up on two reins and ask him to give to the bit vertically. 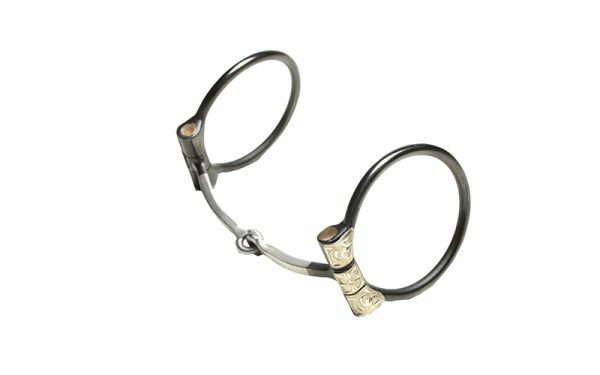 Clinton’s Snaffle Bit is a combination of a D- and O-ring and has a 5-inch mouth piece with 3-inch rings. Because of its design, it will not pinch the corners of the horse’s mouth like many other snaffle bits do. The bit is made of sweet iron, which encourages the horse to salivate. This keeps your horse’s mouth soft and more responsive to your rein cues during training sessions. 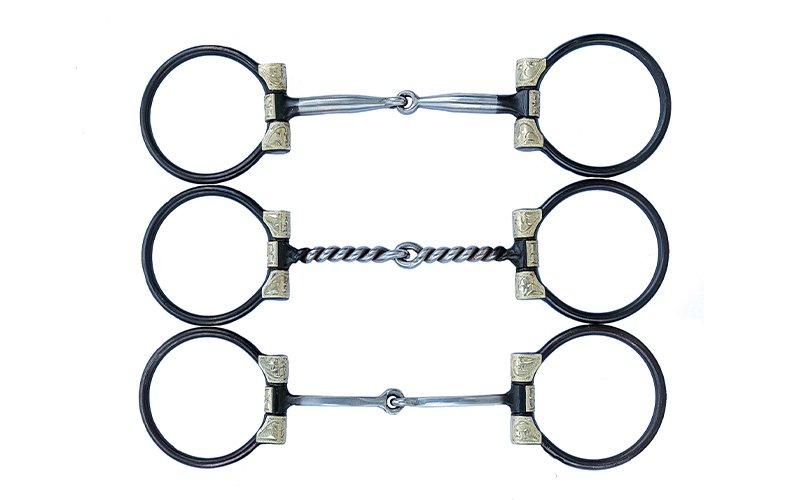 The Snaffle Bit comes in three styles: Smooth, Twisted and Square. If you have a horse that is light in your hands, choose a smooth snaffle. 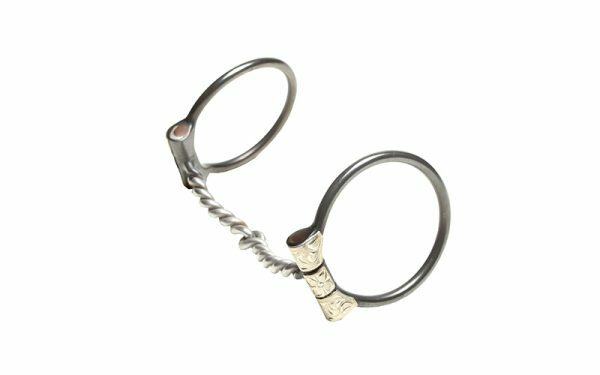 For a horse that leans on the bit, use a twisted or square mouth snaffle to make leaning uncomfortable. Once the horse responds, go back to the smooth snaffle. All of Clinton’s bits are made from sweet-iron and are designed to rust. Make sure to keep them oiled!